The largest home lenders and homeowner’s insurance companies in the U.S. have created a system of checks and balances designed to protect their interests in the insured home. Being knowledgeable in the insurance claims payment processes and helping your clients by making sure they have all the paperwork completed to enable the insurance company to release the full claim amount and for the lender to release the funds from escrow could cut your receivable times by 30 days. A few years ago, a restoration client of mine asked me what he could do to speed up payment from bank escrow accounts for the insurance claim work he had done. A few years ago, a restoration client of mine asked me what he could do to speed up payment from bank escrow accounts for the insurance claim work he had done. 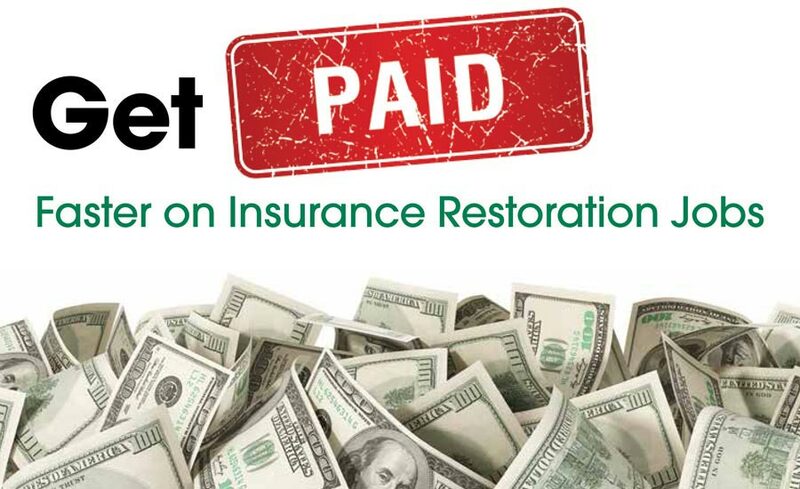 Prior to the call, I had never heard of a problem with getting paid by banks for insurance restoration work. A couple of calls to my friends in the banking business turned up no useful information on how to speed up payments; they were unaware that a problem with paying restoration contractors even existed. I called my client back to report there were no problems. I was wrong. Thanks to a hail storm that severely damaged the roof and the windows on three sides of my house this year, I now know from first-hand experience why my client was asking the question about delayed payments from banks on a mortgaged home. 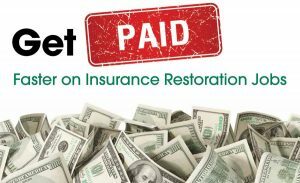 In this article, I will offer some useful tips to avoid some of the time delays in getting paid for the insurance restoration work you have completed. Both the insurance company and the banker want evidence the work has been completed by a licensed contractor before either one releases the full insurance claim proceeds to the homeowners. The insurance company may only provide a partial claim payment until the policy holder provides evidence the work has been completed by a licensed contractor who pays their taxes. The lender wants a conditional waiver of lien signed by the contractor before the bank will release the insurance proceeds to the homeowner so that the homeowner can pay the contractor. The contractor wants to be paid before giving up their right to put a lien on the property for the work performed.